Experienced Adoption attorney Vancouver WA. Kathleen has represented persons in all aspects of adoption in her law practice over the past 20 years. The adoption process involves creating new legal parents and terminating the rights and obligations of the existing legal parents. Full, Private Adoption. Usually, the birth mother and/or birth father chooses a private party or couple with whom to place her child for adoption. The child can be born or unborn. Birth parents often find adoptive parents through friends, family, the internet and other myriad resources as opposed to having an agency develop the placements. The process in a full, private adoption includes a variety of issues and tasks depending on the case. The tasks can include filing the case with the court, filing the home study, preparing and filing consents to the adoption and termination of parental rights by natural parents, providing notice to alleged fathers if his identity or whereabouts are unknown, obtaining temporary custody orders, working with the parties to develop and obtain court approval of open adoption agreements or financial issues in an adoption, working with other states if transfer across state lines is anticipated, finalizing and obtaining a decree of adoption, obtaining new birth certificates which identify the adoptive parents as the parents of the child and establishing the child’s new name. Stepparent Adoption. Stepparent adoptions happen primarily where the natural mother’s spouse adopts her child becoming the new legal parent. 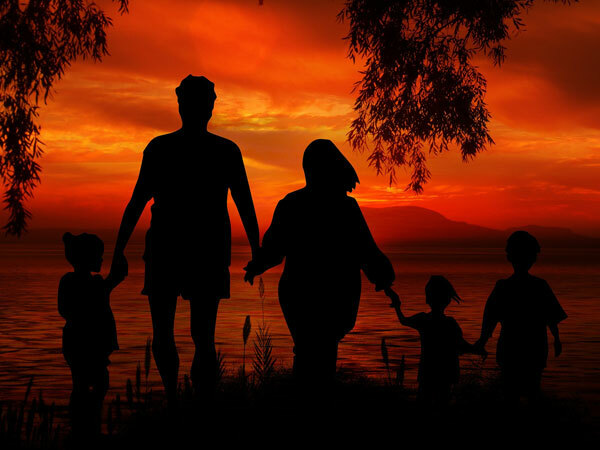 A stepparent adoption can either be by consent from the biological father or through involuntary termination of his status where he has failed to perform his duties as a parent. If involuntary, there is a requirement of notice. Termination can be by default where the biological parent has not responded or after a contested hearing. A social worker’s report called a post placement report is required in a stepparent adoption. Re-adoptions after a completed International Adoption. Where a child is adopted internationally, usually through an agency from such countries as China, Russia, Ethiopia, Guatemala, Vietnam and others, the foreign adoption can be approved in Washington. In a readoption, the Washington Court recognizes the validity of the foreign adoption decree and authorizes the Washington Department of Health Statistics to issue a Washington birth certificate. Finalization of Adoption of Child out of Foster Care. Finalization of adoptions through placement by DSHS with foster-adopt parents is a common type of adoption. This happens after the biological parents rights have been terminated in a Juvenile Court Dependency case. The child is then legally free. Washington is usually the consenting party in these cases. The biological parents may have participated in the adoption plan with DSHS and have either consented to termination of their parental rights and the adoption or their rights were terminated involuntarily. After termination of rights, the adoption is filed and finalized by the Superior Court. Adult Adoptions. Often for personal and symbolic reasons, an adult is adopted by another adult. In adult adoptions, there is no need to obtain the consent or provide notice to the natural or legal parents of the child. There is also no need for a pre or post placement report (home study). Agency Adoption. Agency adoptions typically occur where a birth mother works with a licensed child placement agency to place her child with an adoptive couple. The adoptive parents have usually paid a significant fee to work with the agency in locating a child to adopt. The Agency finds a match, makes the placement and is ultimately the consenting party in the finalization of the adoption. The laws in adoption that the lawyer works to address includes the Washington adoption statute. Sometimes there are also federal laws regarding special procedures in the Indian Child Welfare Act, the Interstate Compact for the Placement of Children (ICPC), and the Service members Civil Relief Act. The adoption home study is called a pre or a post placement report. A home study is required in a full private adoption before any orders can be extended. Both a pre and post placement report are required in a full private adoption whereas in a stepparent adoption, only a post placement report is required. In 2016, my clients, who are Iowa residents, contacted me about adopting a child that was to be born in the state of Washington. I contacted Kathleen McCann and engaged her services to handle the termination of parental rights proceedings in the state of Washington. During the course of my work with Kathleen, I found her to be extremely organized, responsive, helpful and very competent. She very efficiently handled the termination of parental rights proceedings in Washington and kept me and my clients fully informed every step of the way as to the progress of those proceedings. It was obvious to me that Kathleen is a highly competent attorney in the area of adoption law, and I would not hesitate to engage her services again if another opportunity presents itself.